A reputation for quality. A passion for taste. 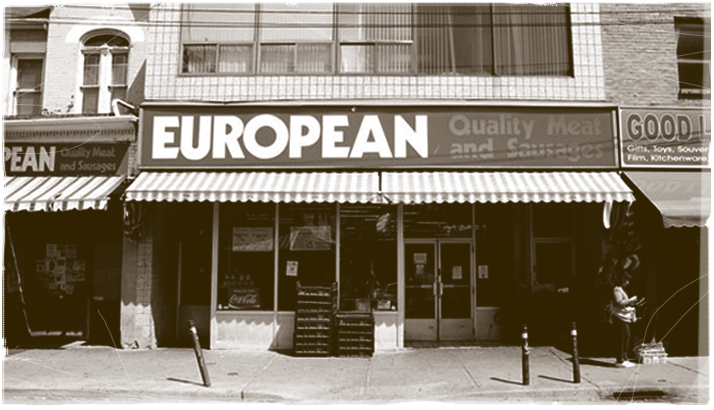 Since opening our first store in Kensington Market in 1959, European Quality Meats has grown to become a proud family run Canadian company recognized for quality products at reasonable prices. We take pride in all the products that we produce and sell for both foodservice and retail markets. From our vast variety of meat products including: beef, pork, veal, chicken, turkey, cured and/smoked meats, deli/luncheon meats to our famous sausages and wieners. 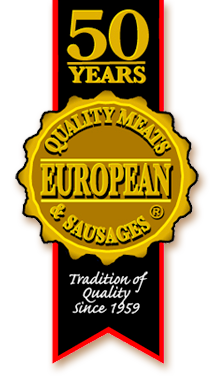 European Quality Meats operates out of a state of the art facility in Brampton, Ontario Canada. The 52,000 square foot plant is a Federally Inspected, HACCP Approved facility. We are suppliers too many buying groups and are a proud member of the North American Processing Association. European Quality Meats is a company that prides itself in combining old fashion know-how with state of the art technology. Our formula for success is simple: no short cuts and quality. As a result, our Peameal Bacon, smoked meats, cooked meats and sausages have become some of the most sought after products for quality and taste.